Every year we are treated to the media telling us who the NEXT Sidney Crosby is going to be – and with all due respect to this year’s Next Crosby Connor McDavid – this is the year where Sidney Crosby reminds everyone that he is still Sidney Crosby. With Phil Kessel on his wing, Crosby is going to have a monster year. I think it’s entirely possible that Crosby can end the year with 110+ points. In today’s goal-less NHL, 110 points is nothing short of miraculous. One of the reasons why prediction number one on my list will come to pass is because bold prediction number two will happen – Phil Kessel will score 50 goals. Kessel is an absolute beast who will be an unstoppable goal scoring machine with the best facilitator in the world – Sidney Crosby – feeding him pucks from all over the ice. Kessel never lived up to his potential in Toronto, but he is going to thrive in Pittsburgh. He will go from Toronto’s enemy #1 to a Pittsburgh fan favorite faster than he could down a sandwich at Primanti’s. Kris Letang’s career, much like the Penguins history over the last few years, is filled with way too many thoughts of what could have been. Well this is the year where Letang finally enjoys an injury free season and enjoys a Norris caliber season. People are waiting to see how the new 3-on-3 overtime rules will impact the game. Well here is one impact you can take to the bank – fans are going to love it. Especially Penguins fans. All that open ice plus all the unbelievably skilled Penguins forwards is going to result in some Sportscenter highlight reel goals in OT. The Penguins are going to win a lot of games in OT and the fans are going to absolutely love watching them do it. Look, you knew this list couldn’t be all unicorns and rainbows. 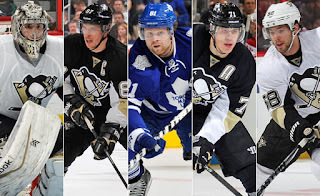 So here is a bold prediction that’s going to give a lot of Pens fans the sads – me included. Pascal Dupuis’ health problems will continue and he will make the right call to finally hang up the skates and this will happen before the end of the season. Like clockwork, a few weeks before the trade deadline, #JagrWatch begins as fans in Pittsburgh pine for 68 to return to Pittsburgh for once last hurrah. Every year it ends up the same way too – Pens fans hoping for a return of Jaromir Jagr are disappointed. Well good news for all you Jagr fans, I think this is finally the year when #JagrWatch actually has a happy ending. 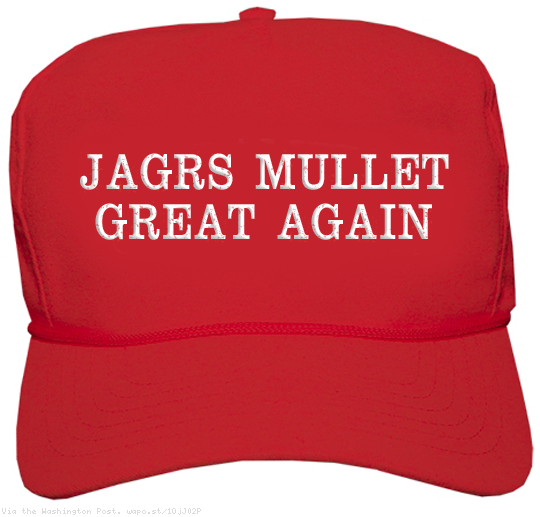 The Pens will acquire Jagr for the stretch run and Jagr (and his throwback mullet) will come skating into Consol and all will be forgiven. We will know soon whether or not this is just wishful thinking on my part. Outside of Phil Kessel, I am not sure any Penguin has excited the fan base more than Daniel Sprong. The 18-year old second round pick from Amsterdam impressed the Penguins enough in preseason to make the roster. Before the Dupuis injury most believed that Sprong would be in Pittsburgh for no more than 9 games – anything more than 9 games would burn a year off Sprong’s entry level contract (something teams are loathe to do). The injury to Dupuis, coupled with Sprong’s performance on the ice, and what I believe is GM Jim Rutherford’s win NOW approach will result in Sprong sticking around for the entire season.